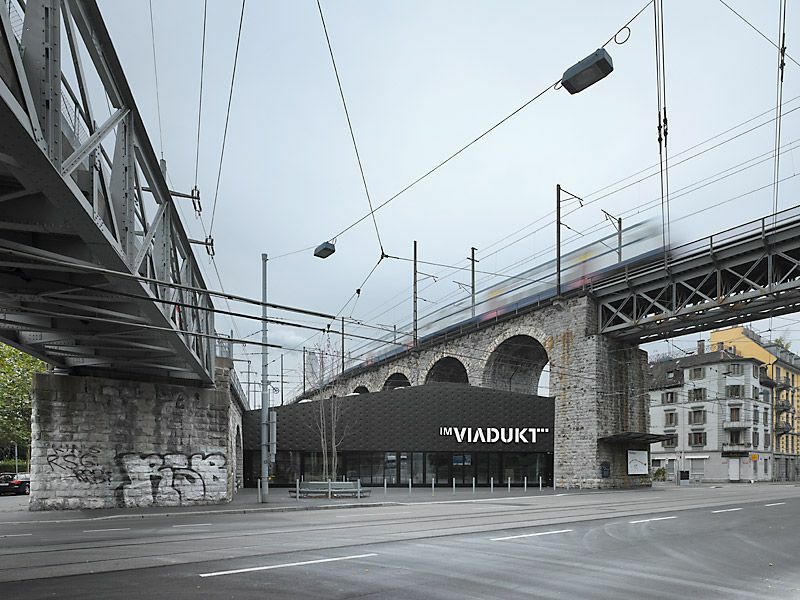 The viaduct is more than just a bridge. 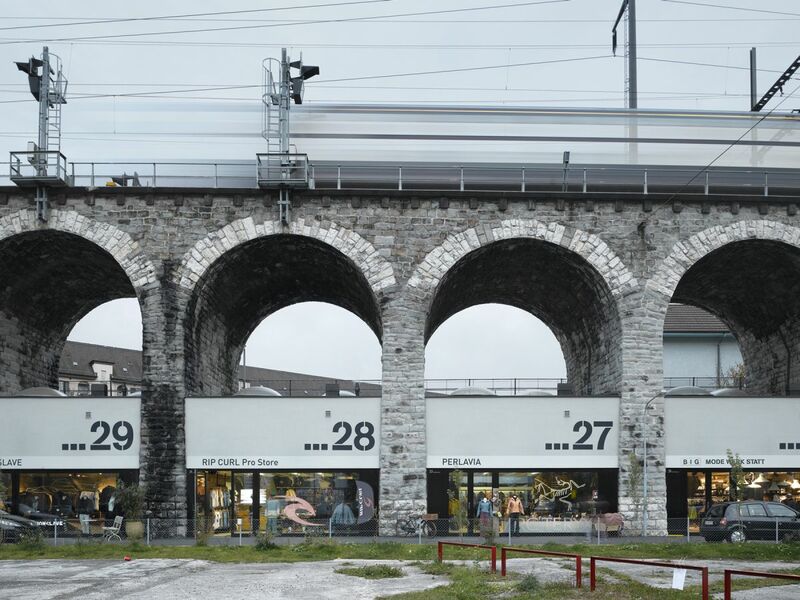 Like a mountain chain erected by human hand it appears in the town with a scale derived from the landscape and topography. 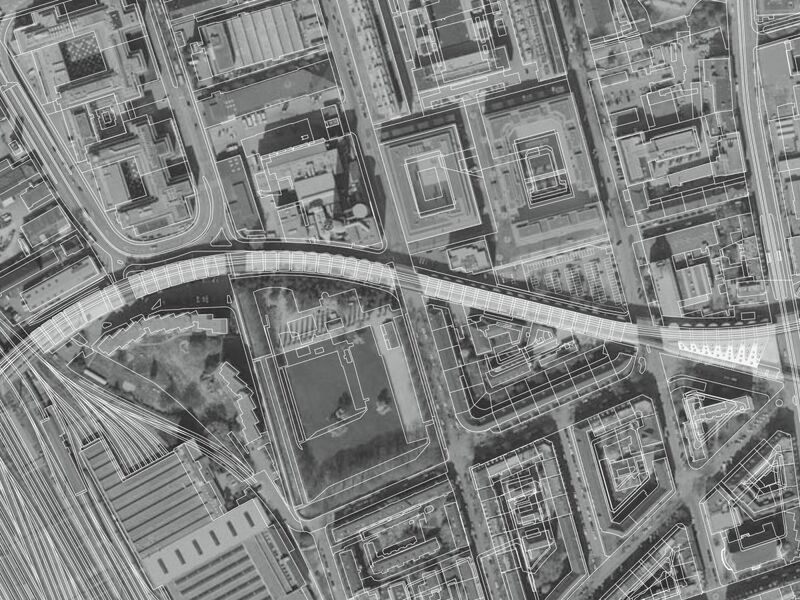 The infrastructure element, originally used as a railway line, had to be formed in a linear park that will be part of a culture, work and leisure mile. 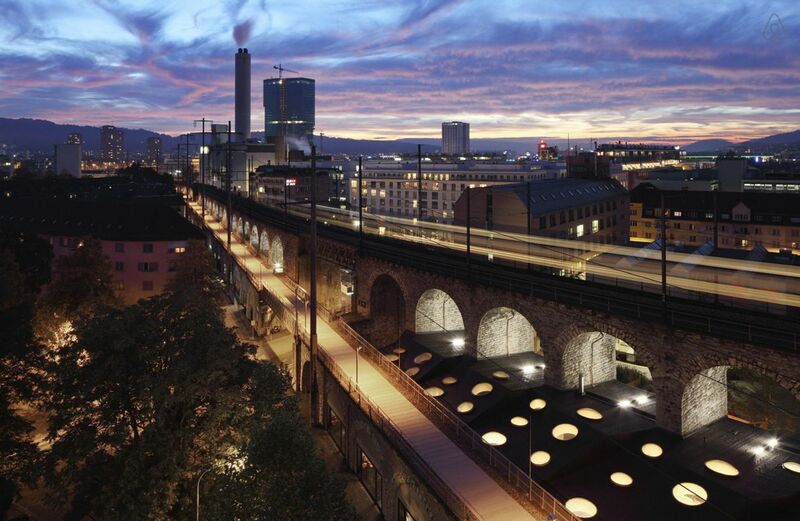 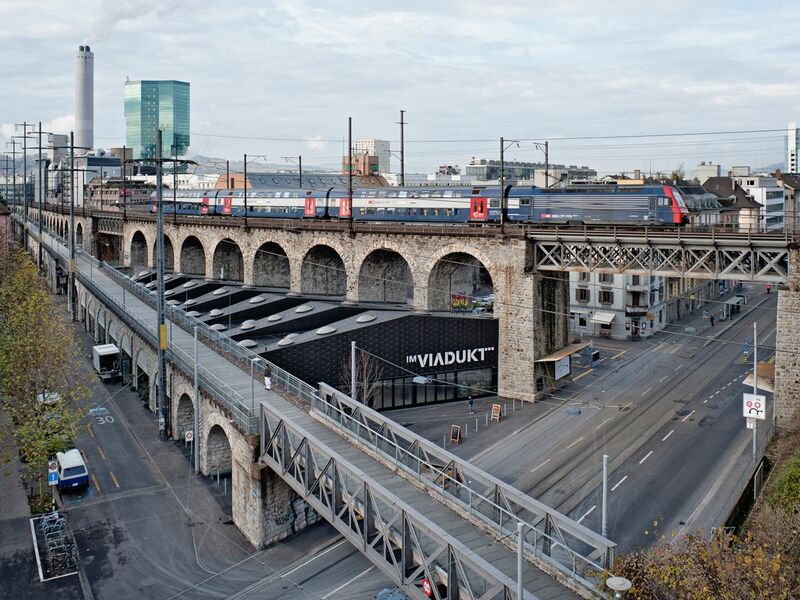 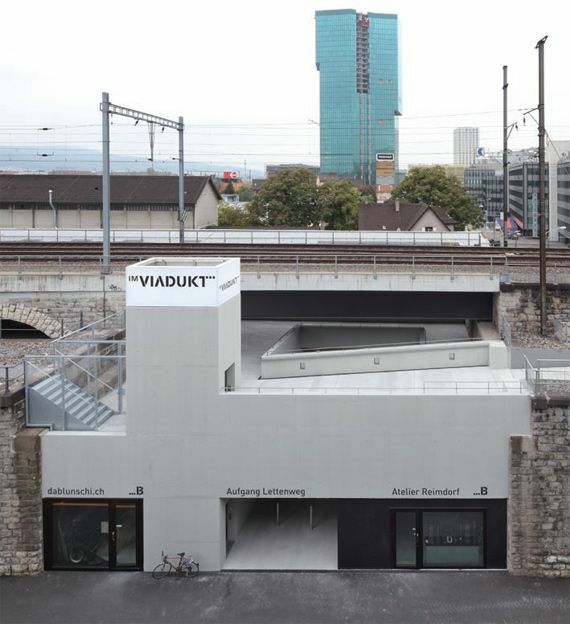 This reprogramming initiated two decisive urban impulses: The viaduct as a spatial barrier becomes a linking structure and the outdoor spaces bordering it are upgraded. 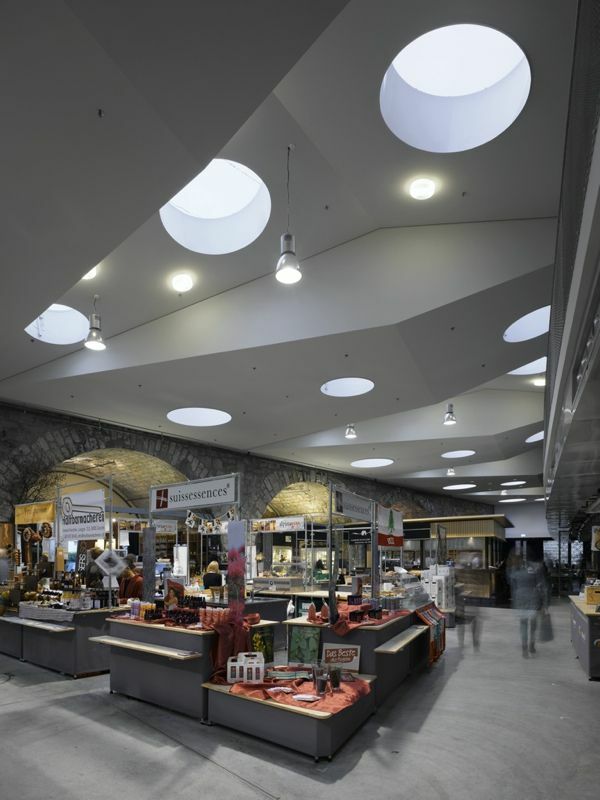 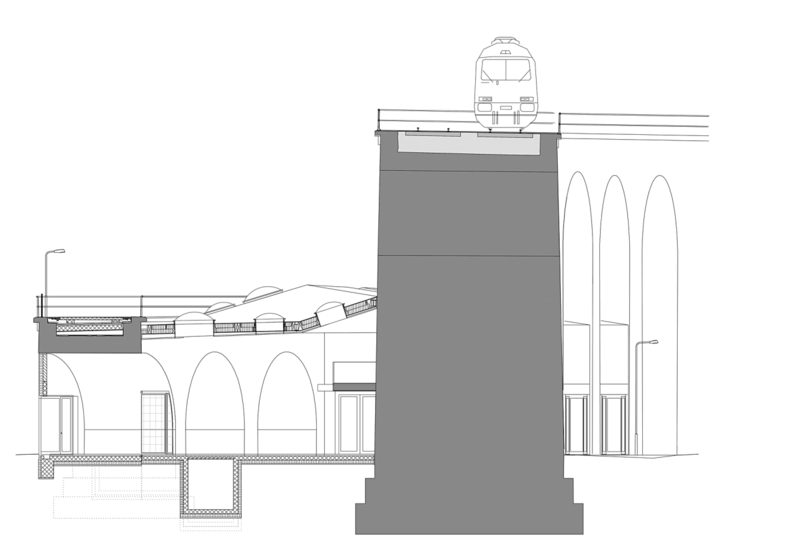 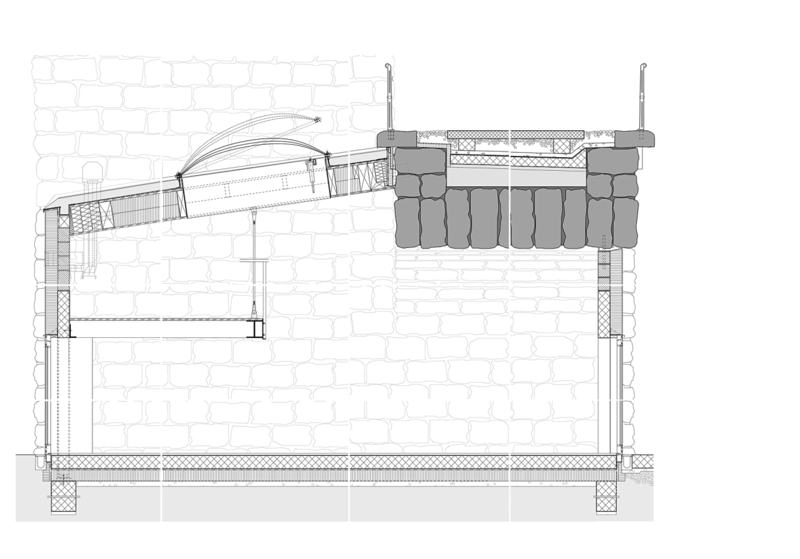 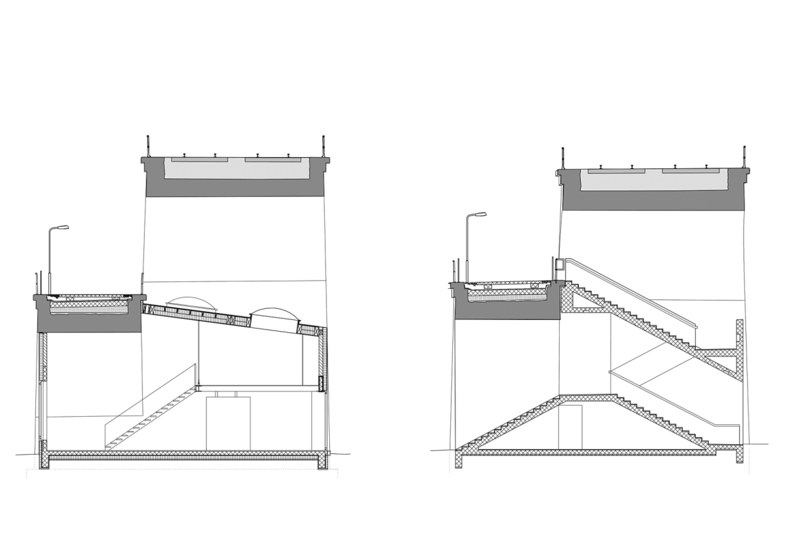 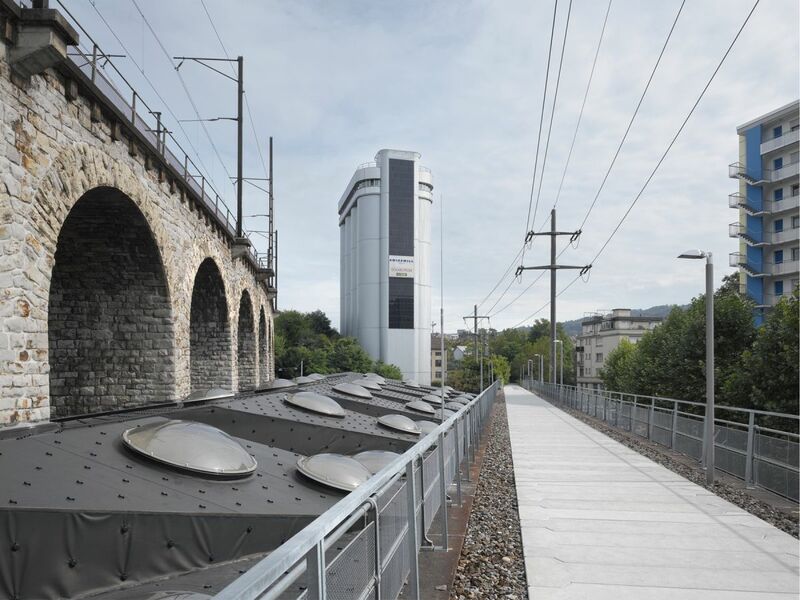 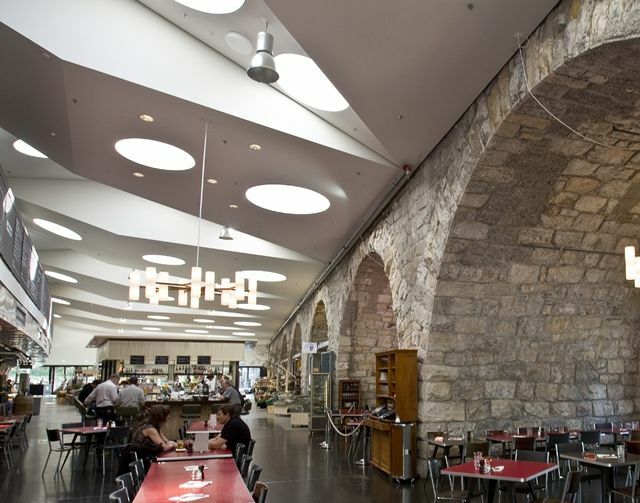 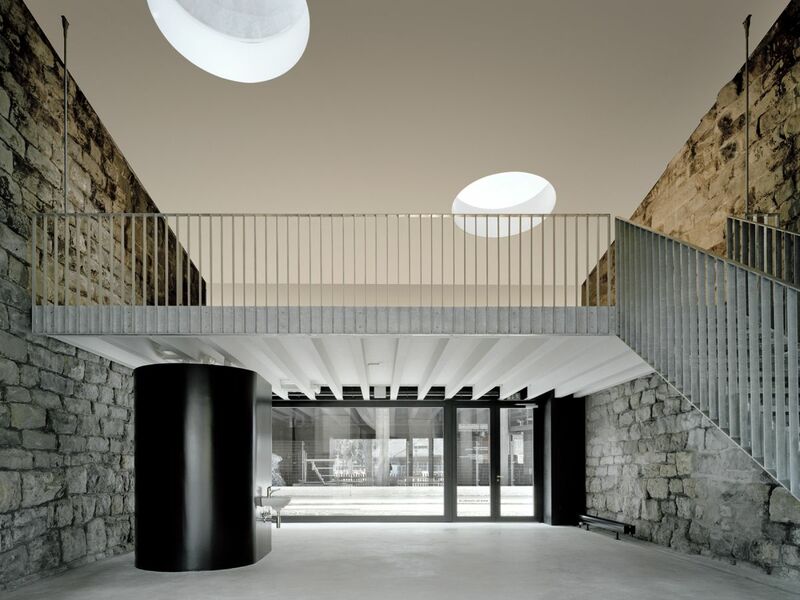 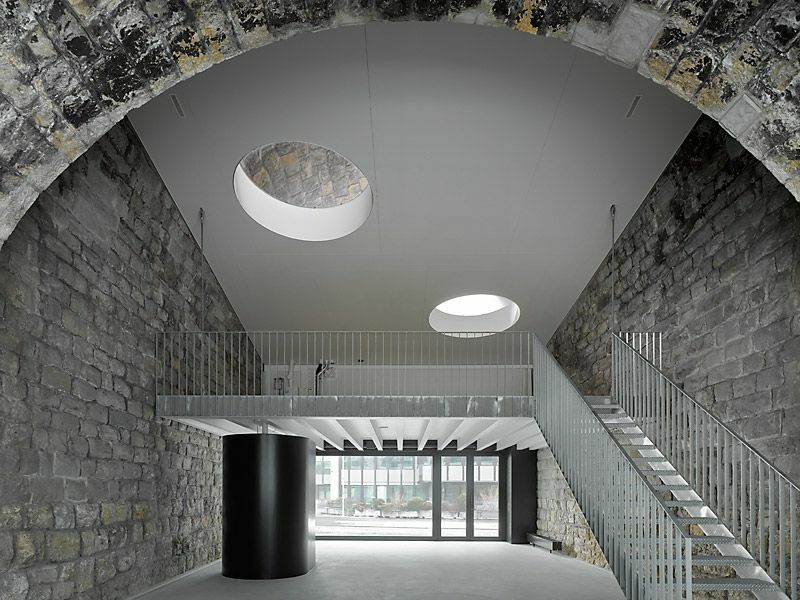 We viewed the ambivalence of a large-scale connecting machine and a linear building as a fundamental quality and used it as the architectural leitmotiv to symbiotically connect the new uses with the viaduct structure, including the characteristic Cyclopean masonry as atmospheric element. 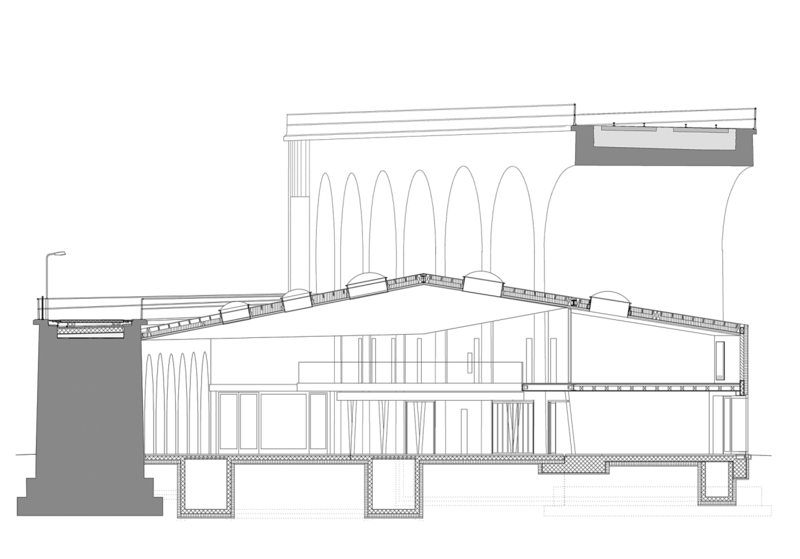 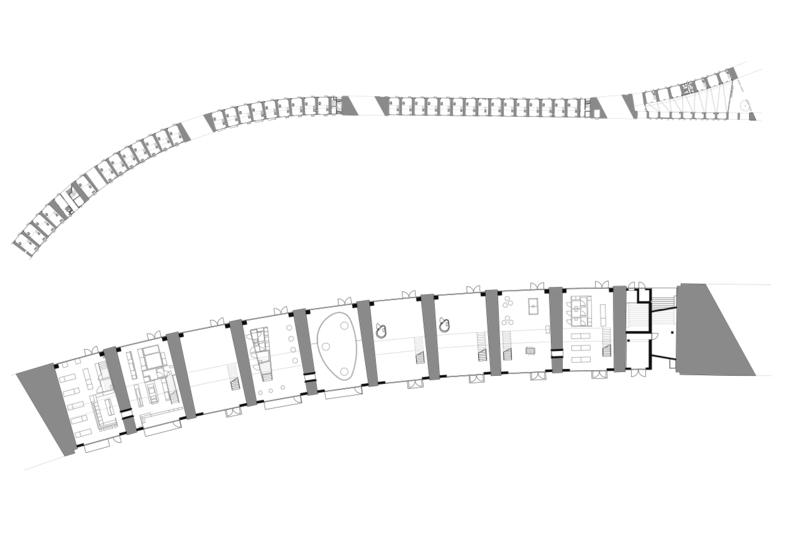 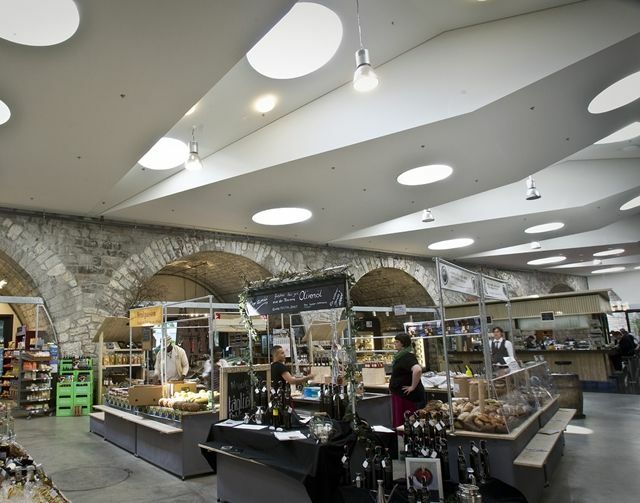 The new structures are deliberately restrained so as to emphasise the existing arches.